James Neish of 'The Laws' was one of the innovative manufacturers who firmly established the jute industry in Dundee in the 1830s. He held a number of public posts and, after retiring, gained a reputation as an amateur archaeologist . Trained for mercantile business, James Neish commenced on his own account when a relatively young man. The Dundee Directory of 1829-30 listed James as a manufacturer in Chapelshade. Curiously, in 1833, notice of his sequestration appeared in the press. Towards the end of that same year, the progress which had been made in spinning jute, 'caused James Neish, then a manufacturer in Dundee, to turn his attention to the manufacture of jute carpeting.' By 1837, his business interests had taken him to Hawkhill where he continued in business as a manufacturer. At his Heathfield Works on Hawkhill, Neish is purported to have introduced the innovative and successful working of jute to Dundee. Jute carpets were first made at Heathfield in a 'long 2-storey hand loom room (1846 map), increased to four hand loom shops and large powered winding room by 1857.' However, it was claimed that 'no-one in Dundee understood the dyeing of the yarns for fine colours and they were sent to Glasgow to be dyed and then taken back to Dundee to be woven, which greatly increased the cost of the carpeting.' In 1840, a few years after beginning his operations at Heathfield, the sequestration of the firm of 'Stark & Smith,' merchants and mill spinners occurred. This firm had operated Law Mill and on its demise, James Neish seized the opportunity to expand his ventures, by subsequently becoming its proprietor. This proved to be particularly advantageous for Neish, as Law Mill became the first mill to have its own dye works for jute carpets, woven at Heathfield Works. The decade spanning the 1840s was surely a lucrative time for James Neish. By 1850, he had also assumed James Paterson of Kinettles as a partner in the business, thereby becoming James Neish & Co. Neish retired to his country residence at 'The Laws' (having purchased the estate in 1850) at a comparatively early age of 47 in 1857. James Paterson then continued the business, together with his sons. Neish was educated at Dundee Grammar School and trained to be a merchant. During the temporary decline of the flax industry in Dundee, he realised the market potential of jute and experimented with the new fibre. As a merchant and manufacturer, Neish initially would not appear to have been successful and experienced bankruptcy in 1833 before finally making a breakthrough when the textile industry mastered the machine powered spinning and weaving of the jute fibre. 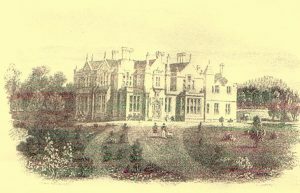 The enterprise proved so successful that Neish could afford to acquire the large estate of ‘The Laws,’ in the parish of Monifieth, near Dundee, in 1850 at a cost of £15,510. Further to that, Neish purchased the adjoining estate of Omachie in 1853 at a cost of £17,800. Only a few years later, James Neish retired from business operations in 1857. His business partner, James Paterson continued the running of the firm at both Heathfield Works and Law Mill. After retiring, Neish became a board member or director of several insurance companies, apart from concentrating on his interest in local history. He spent time exploring the archaeology of the area around his home at ‘The Laws.’ Some of his scientific reports were published in the ‘Proceedings of the Society of Antiquaries, Scotland,’ of which he had become a member in 1860. Neish created two watercolour paintings of his excavations at ‘The Laws,’ today held by Historic Environment Scotland, (part of the Soc Antiq Scot collection) exhibited in the McManus exhibition ‘Fire and Stone’ in 2017. In 1882, James Neish died quite suddenly of cardiac asthenia at his home at ‘The Laws.’ In one obituary, he was described as ‘quiet and unobtrusive in manner, inoffensive and kind in disposition, and a warm and attached friend,’ while in another as ‘a most interesting companion.’. 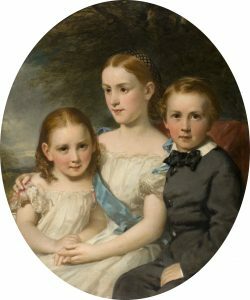 A portrait of two of James Neish’s nieces and a nephew is currently on display in the McManus exhibition ‘Revealing Characters.’ It was painted by Scottish portrait artist, Sir Daniel MacNee, around 1862 and depicts Jane Amelia, James and Catherine Ann, children of James’ brother, barrister William Neish of Clepington and Tannadice. Old Parish Records. Dundee. Births. (1809). 282/ 90 373. ScotlandsPeople website. Old Parish Registers. Dundee. Marriages. (1841). 282/ 230 23. ScotlandsPeople website. Malcolm, J. (1910). 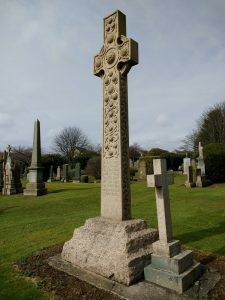 The Parish of Monifieth in Ancient and Modern Times. Edinburgh & London. W. Green & Sons. p.320. The Dundee Directory, 1829-30. p.40. Dundee Central Library, Local Studies. The Dundee Directory, 1834. p.37. Dundee Central Library, Local Studies. The Dundee Directory, 1842-43. p.61. Dundee Central Library, Local Studies. The Dundee Directory, 1845. p.68. Dundee Central Library, Local Studies. The Dundee Directory, 1858-59. p.168. Dundee Central Library, Local Studies. The Dundee Directory, 1856-57. p.125. Dundee Central Library, Local Studies. Statutory Registers. Monifieth. Deaths. (1882). 310/ 48. ScotlandsPeople website. 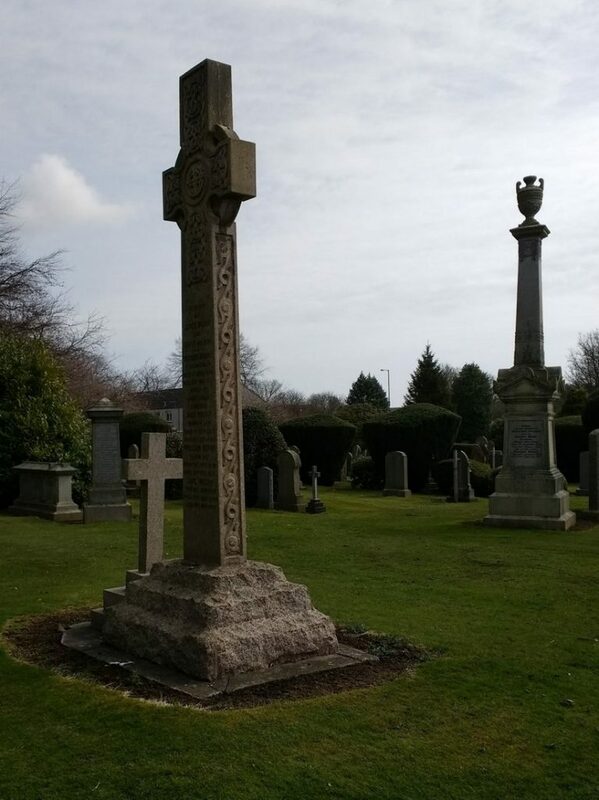 Information provided by Burial Administration Environment Department, Dundee. Dundee Advertiser, 23 May 1882. p.5. British Newspaper Archive website. Urban, Sylvanus. (1860). The Gentleman's Magazine and Historical Review. NS IX, July - December 1860. London: John Henry and James Parker. p.152. Dundee Courier, 9 March 1859. Findmypast website. Most of the memberships and board positions held by James Neish were listed in the Dundee Post Office Directories. Innes, Cosmo. (1868). Ancient Laws and Customs of The Burghs of Scotland. I. Edinburgh: John Greig & Son. p.7. Stuart, John. (1871). Notices of the Spalding Club 1839-71. Edinburgh: Robert Clark. pp.129, 146. Boswell, James and Rogers, Charles. (1874). Boswelliana: The Commonplace Book of James Boswell. London: J. and W. Rider. p.VIII. Millar, Alexander Hastie. (1887). Roll of Eminent Burgesses of Dundee, 1513-1886. Dundee: John Leng & Co. p.269. Guildry Incorporation of Dundee: Sederunt Book, 1828-1842. p.19b. Most of the public offices held by James Neish were listed in the Dundee Post Office Directories. Centenary Souvenir, 1836-1936. Dundee Chamber of Commerce. p.42. A collection of the Public General Statutes affecting Scotland. (1853). Edinburgh: William Blackwood and Sons. p.347. Dundee Advertiser, 30 December 1861. p.4. Findmypast website. Dundee Courier, 12 August 1861. p.3. Findmypast website. Dundee Year Book 1881-85. 'Obituary Notices - James Neish of Laws and Omachie.' p.90. Dundee Central Library, Local Studies. The London Gazette for the Year 1833. I. London: Robert George Clarke. p.610. 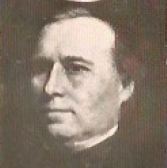 Warden, Alexander J. (1864). The Linen Trade, Ancient and Modern. London. Longman. p.74. Fife Herald, 1 October 1840. p.4. Findmypast website. Watson, Mark. (1990). Jute and Flax Mills in Dundee. Tayport. Hutton Press. p.214. Legal Records. Forfar Sheriff Court. (1828). Sc47/ 40/ 5. ScotlandsPeople website. Dundee Year Book 1886, 'Obituary Notices - Mr William Neish of Tannadice and Clepington.' p.44. Dundee Central Library, Local Studies. Montrose, Arbroath & Brechin Review, 14 September 1855. p.7. Findmypast website. Dundee Courier, 18 May 1853. p.2. Findmypast website. Dundee Obituary Book. No. 1. (1869-94). p.86. Dundee Central Library, Local Studies. Christina Howie provided me with images of James Neish's birth, marriage and death certificates, held at National Records of Scotland. She also mentioned the Neish family portrait in the Revealing Characters exhibition at the McManus. Nancy McWilliam brought the Burial Administration Environment Department in Dundee to my attention. They looked up Neish's burial place for me. The information above about James Neish has been collated from a range of digital and hard copy sources. To the best of our knowledge it is correct but if you are relying on any information from our website for the purpose of your own research we would advise you to follow up the sources to your own satisfaction. If you are aware of an inaccuracy in our text please do not hesitate to notify us through our Contact page.